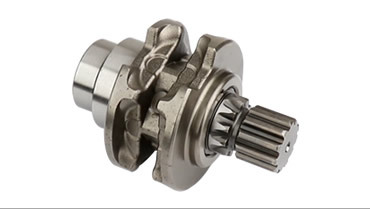 - Overload friction clutch is located outside the load path Those comply with specifification of BGV D8+, meeting IGVW SPQ2 Code of Practice for entertainment rigging. It is designed for any climbing and upright applications. 5-pocket lift chain wheel for smooth and quiet lifting operation. 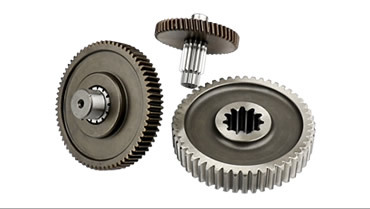 Helical gears used to cement 3-step drive system for quiet operation and long wear life. 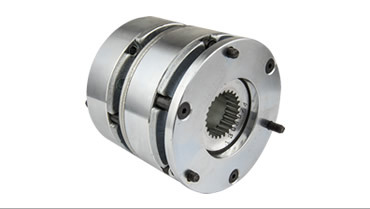 Friction clutch is located outside the load patch and set at 125% load capacity while delivered. 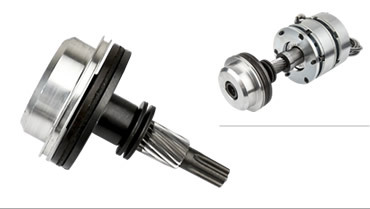 Two independently-acting spring-applied DC brakes aims for higher safety standard. 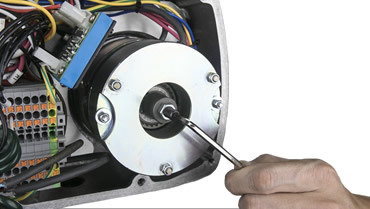 Adjusting clutch torque, if necessary, is convenient with an Allen key tool. 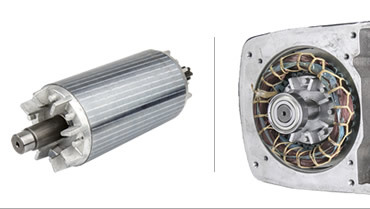 Insulaton class F motor (0.75Kw x 4P) is well engaged inside the alumimum frame for excellent working thermal control. Foldable grips make transportation easy, and reduce the interference over the operation. 10:1 dimensioning mechanical design factor for ultimate robust and safety. 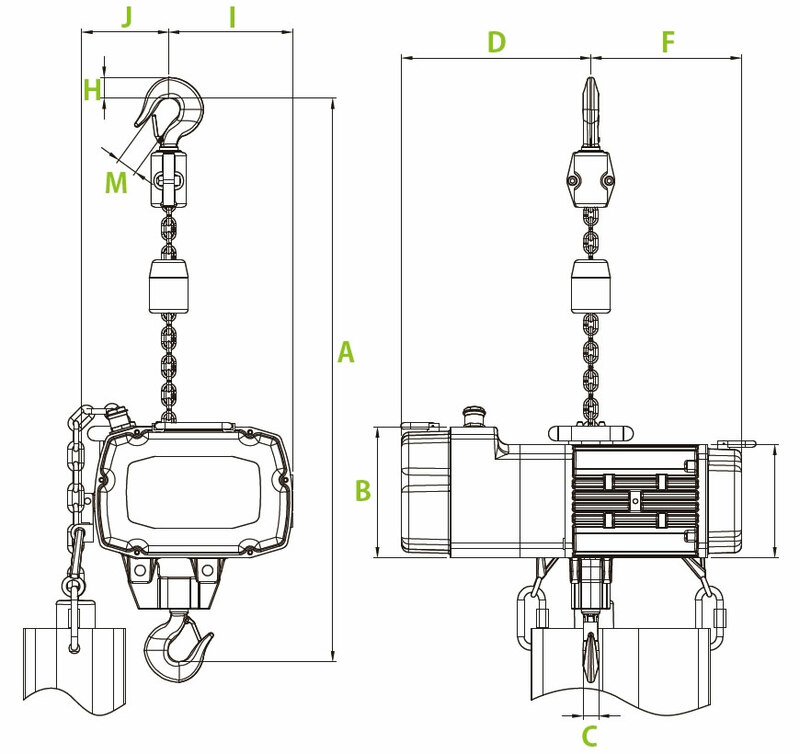 Micro Switch Positioning (MSP) provides an easy manner for DC hoist to set the up or down traveling position without too much effort. 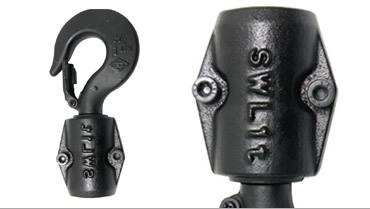 Both upper and lower hook are fabricated of SF45C and allow 360degree swivling. 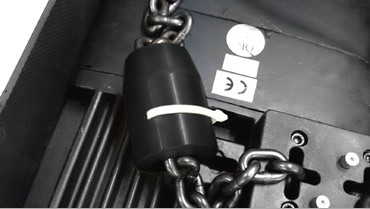 Equipped with spring latch to enhance the loading safety. 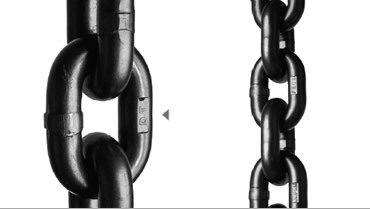 Grade 80premium carbon steel alloy load chain for overhead rigging. Black phosphate finish for corrosion resistance and low key. 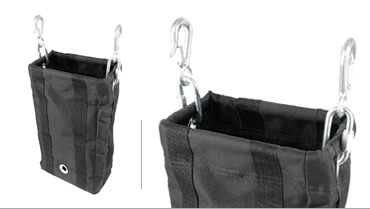 Fabricated of double layer 1000 denier fabric with heavy duty eye hook, provides upmost storage compartment gor load chain. Rubber block has a dia. 5mm perforate hole, leaving a cable tie to anchor the rubber block on chain tightly from slipping. Palm-size rubber block is handy to grip and slide. 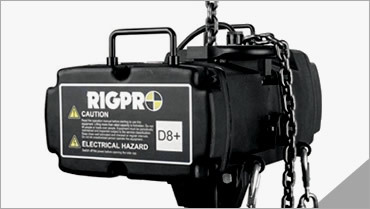 Damage-free on chain link and durable for frequent use. 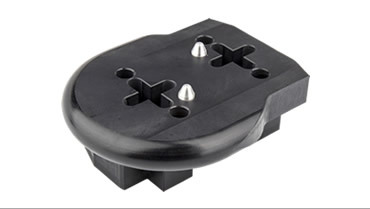 - Epoxy black powder coated for less visibility and corrosion resistance; with rubber gasket and mechanical design, the complete unit turns to be IP55 rated. 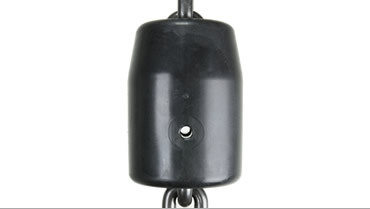 - Forward-curve enhanced Nylon chain guide is robust and keeps chains running smoothly in the central. 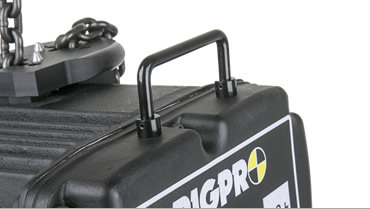 - Two fordable handles provide an easy manner for transportation of the hoist. 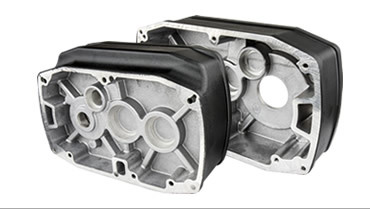 - Housing is fabricated of gravity die-cast aluminum; light weight yet robust and durable. - Gears are made of alloy steel with heat treatment for steady operation and less wearing and fine grounding on gears makes engagement precisely with less operation noise. - Upper and lower hook are made of drop-forged high tensile carbon steel,allowing 360 degree freely swiveling. - Over-heat protection, for the maximum limit of 140 (+/-5) Celsius degree,will only allow to lower the load instead of lifting. 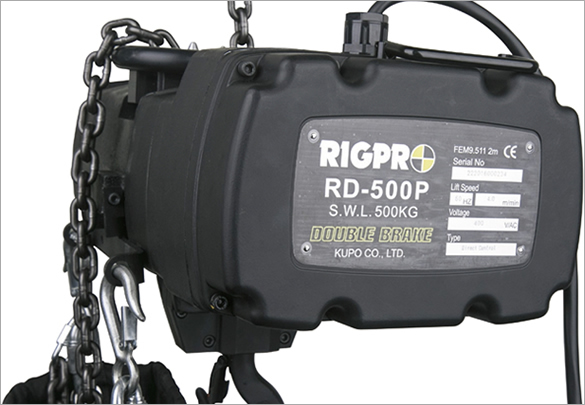 - Micro Switch Positioning (MSP) helps to set the up and down limit on travelling position without too much effffort on direct control chain hoist (applied for RD-500P model).